Are you looking for a free window replacement quote? 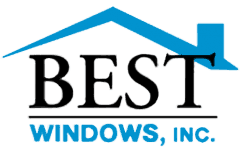 Downers Grove IL residents have the special opportunity to receive a free window replacement quote from Best Windows Inc. Utilizing years of experience working in the local community, Best Windows Inc. wants to help save you a great deal on the amount you spend on heating and cooling annually. However, you may want to prepare yourself. The amount we can save you may be shocking. There are a number of benefits that come from having new windows. The first is that new windows are easier to clean and care for. In addition, it is significantly easier to open new windows then those installed over the past few decades. On top of all of this, new windows can save you a considerable amount on heating and cooling. Where as old windows will vent interior air at an amazing rate raising your bills, new windows are specifically designed to lose less heat, requiring less energy on your part to create the same level of comfort you are accustomed to. 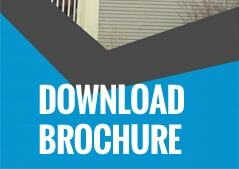 For Downers Grove IL residents, we will provide a free window replacement quote. This comes with no strings attached. We respect your right to go with someone else, and we will not try to pressure you into using our service. Our quote involves a tour of your windows as we use our specially calibrated technology to track heat loss. Once the quality and integrity of the windows are identified, we will bring you up to speed on the condition of your windows, providing you will all the information you need to make an informed choice. Best Windows Inc. has a history and reputation with the Downers Grove community in regards to providing the very best in service and quality. Our windows are no different. The windows we provide areNFRC U-rated .27 or below, are low E coated glass filled with argon gas, include a tilt-in feature for easy cleaning, and include triple weather stripping in sashes for less air filtration.We would love to schedule a free window replacement quote with you so feel free to contact us. With so many potential savings, what are you waiting for? Give us a call and we can schedule you right away. To schedule an appointment for an estimate, call us today at (708) 204-2446 or click on our contact form for a super fast response!. You can also visit our website Bestwindows.net to know more about free window replacement quote Downers Grove IL.